Under the leadership of Superintendent Gary Niehaus, the Grosse Pointe Public School System has propelled the project forward by rallying support in the various communities and issuing the initial RFP. Niehaus has wanted to build a community owned network since joining the school system, inspired by his former district in Illinois which had also built a fiber network. Grosse Pointe schools now spend about $225,000 per year to access the Internet. Constructing the GP EdNet would lower connectivity expenses for the school system and other consortium members while significantly improving quality. For comparison, Falmouth, Massachusetts, saved about $160,000 per year by connecting schools and other public buildings to a publicly owned network, according to an estimate from 2015. Communities reap even more financial benefits when they self-provision telephone services. In Austin, Texas, the Greater Austin Area Telecommunications Network (GAATN) saved the local school district $5.8 million in 2011, largely by switching to VoIP telephone service. The City of Grosse Pointe was first to approve the agreement, voting unanimously to join the consortium on April 16. Grosse Pointe Public School System and Grosse Pointe Park, also with a unanimous vote, soon followed. One community, Grosse Pointe Shores, has decided to “indefinitely” table the proposal over concerns about the network’s cost. Though the other communities’ approval was contingent upon all of the consortium members signing on, the Grosse Pointe Times reports that Niehaus is confident the network can progress with some changes to the agreement. He noted that the biggest change is that the cost of the network will be divided among fewer parties. Grosse Pointe Farms, Grosse Pointe Woods, and Grosse Pointe Public Library have not voted on the proposal yet. If they approve the agreement soon, the I-Net could be constructed by as early as the summer of 2019. Rocket Fiber plans start to offer residential and businesses services several months later. View a summary of the plan presented to Grosse Pointe Farms and the consortium agreement [pdf]. 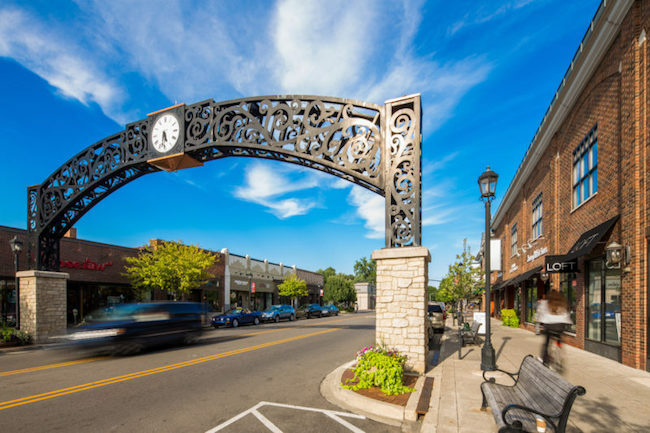 Image of downtown Grosse Pointe courtesy of Wayne County Economic Development.